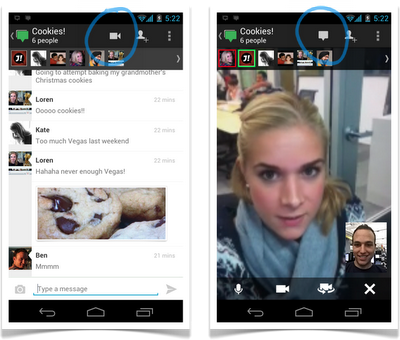 Google adds the ability to join a G+ Hangout, the option to actually initiate one has been noticeable absent. That's all about to change within the next few days, however, because Big Daddy Goog is going to push an update that will allow users to start a Hangout (or "go live" as they worded it) from a mobile device. The update is expected to his the Android Market within the next "few days," so I wouldn't be surprised to see it before the end of the week. The iOS version will be receiving the update shortly, as well, for those who are into that sort of thing. For more info, hit up the official Google Blog.